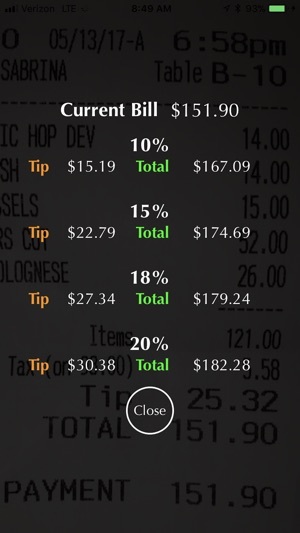 This tip calculator will allow you to enter in food, alcohol and tax amounts, and calculate a tip based on any/all of those amounts. 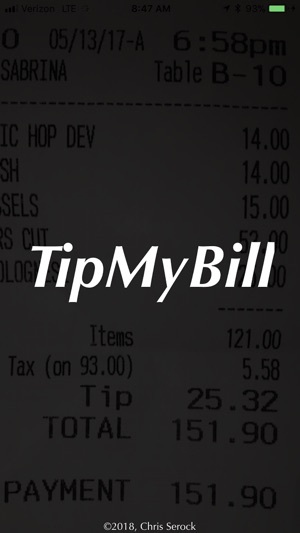 Tip percentages up to 30% can be selected, and the bill can be broken out for up to 10 people. 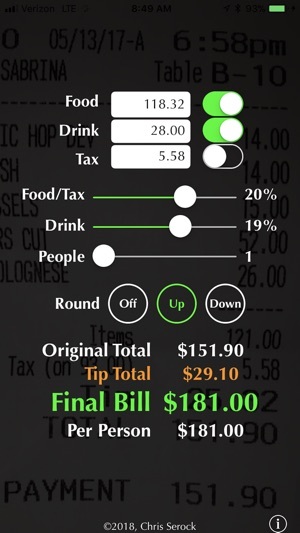 The app automatically refreshes any time you make a change to dollar amounts, tip percentage or amount of people. 1) Added in a calculator to quickly sum up totals for bills that aren't already broken out by food, drink and tax. 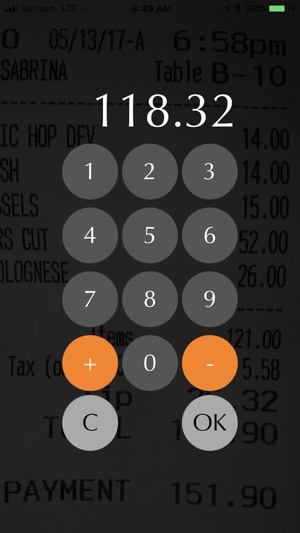 To access the calculator, double tap in the Food, Drink or Tax fields.